Deadline-day loan signing Daniel Agyei scored on his debut to set Walsall on their way to a 2-1 victory over Plymouth. 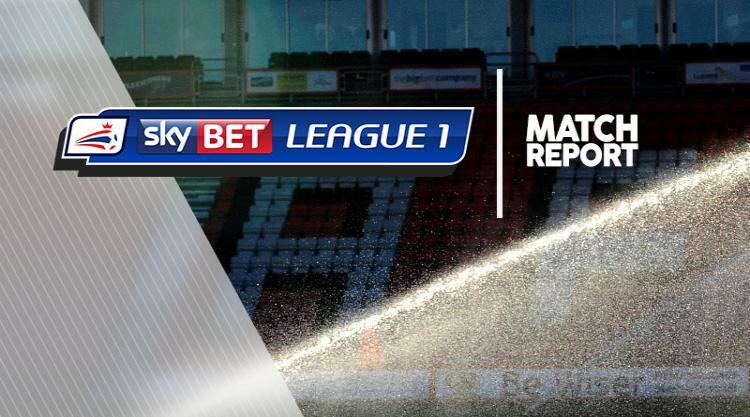 Burnley striker Agyei nodded home in the first half and Erhun Oztumer sealed the points for Walsall before Graham Carey's late penalty for Argyle reduced the deficit. Plymouth started brightly as Joel Grant and Carey saw goalbound strikes blocked by Walsall defenders inside the first three minutes. The Saddlers replied with Agyei twice going close, heading straight at Argyle keeper Luke McCormick from close range and seeing a 10-yard strike deflected just wide. Agyei took his third chance 23 minutes in though, finding the freedom of the Plymouth six-yard box to nod home Luke Leahy's far-post cross. The visitors almost levelled six minutes before the interval as Jamie Ness' 18-yard volley whistled inches wide. In a quieter second half, Walsall made it 2-0 with nine minutes remaining as Oztumer sprinted from halfway before finding the bottom corner from 20 yards. And they hung on despite Leahy's 86th-minute push on Nathan Blissett allowing Carey to pull one back from the spot for Plymouth.